AVAILABLE FOR IMMEDIATE SHIPMENT>>>Beautiful One Of a Kind Gold and Silver Turquoise Necklace. 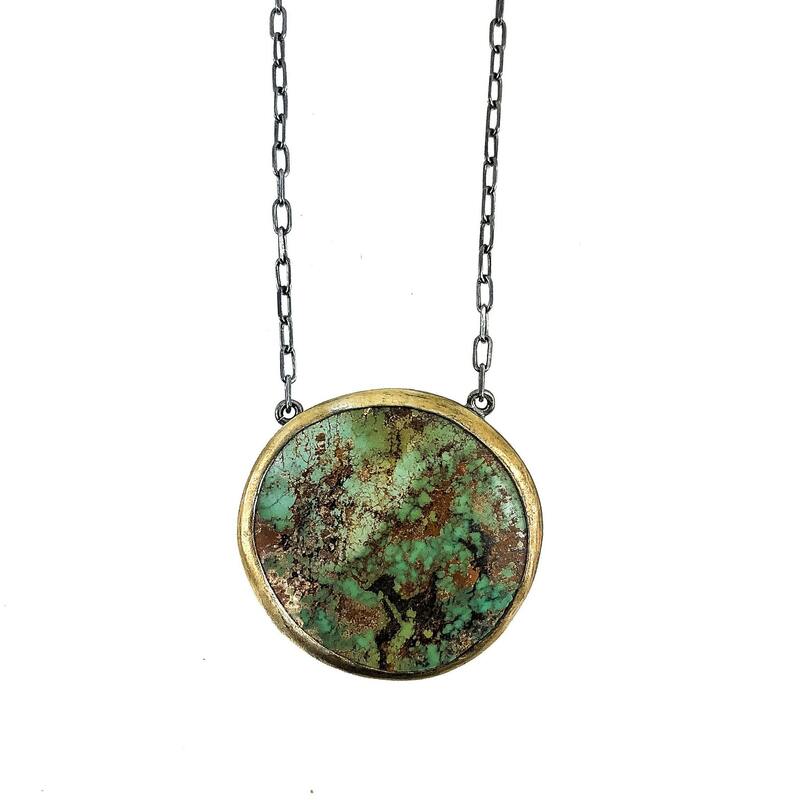 24 Karat gold and oxidized silver . 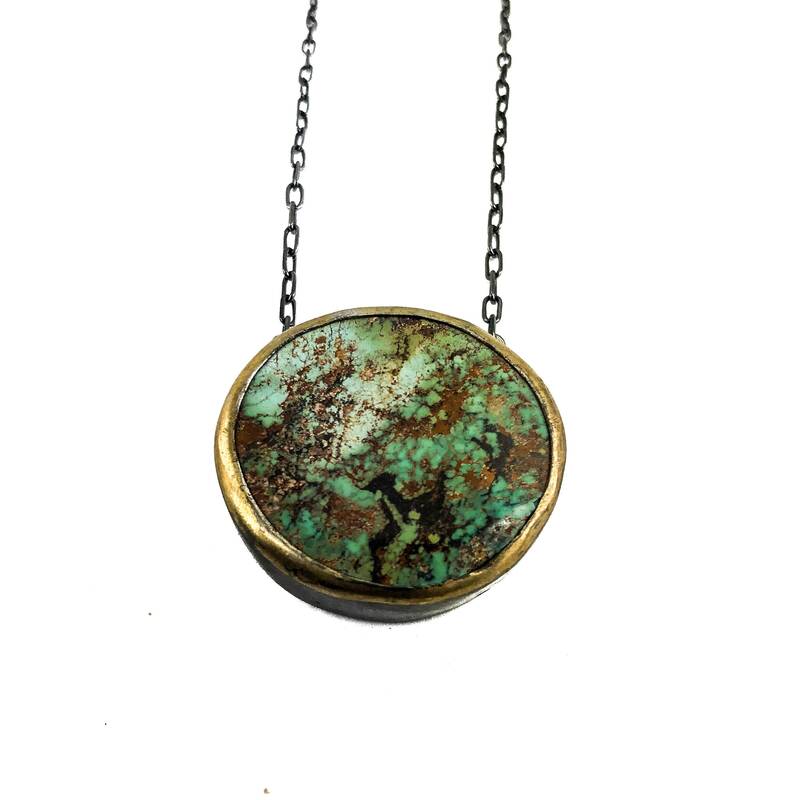 Big round Turquoise necklace.Only one available .